In the winter of 1948/49, a single dollar and 40 acres of land was the beginning of Boyne Mountain Resort, then known as Boyne Ski Club. 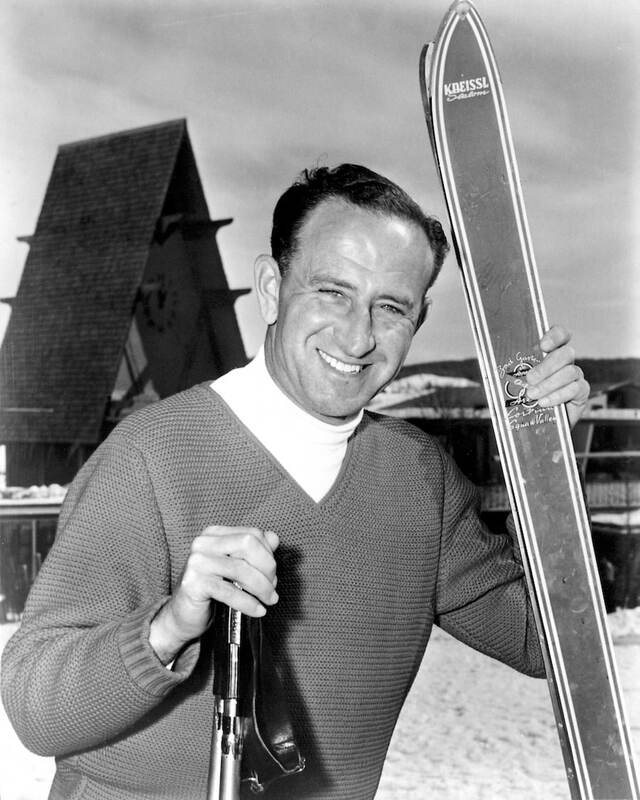 Starting with two runs, the first chairlift in the Midwest and a warming hut, Everett Kircher began a resort and leisure corporation that now spans the continent. Over seven decades, the spirit of adventure has thrived. 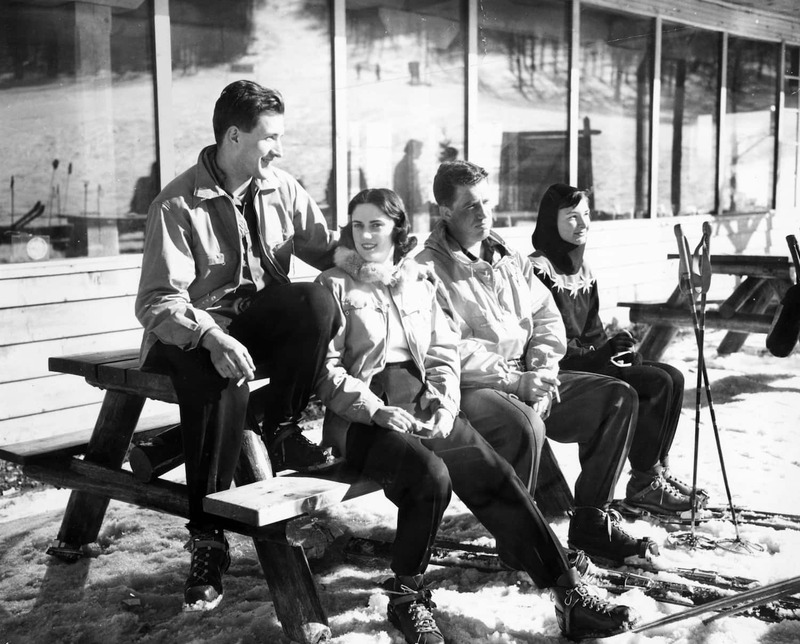 In honor of its grand opening celebration on January 9, 1949, Boyne Mountain is celebrating 70 years, January 9–12. For the first time, beginning on Wednesday, January 9 at 4 p.m., the lifts will spin for 70 continuous hours for a fundraising event for Challenge Mountain, an organization that is close to the heart of the Kircher family. Challenge Mountain, whose land was donated by Kircher in 1984, offers recreational programming for people with disabilities, including skiing. Skiers and snowboarders can organize a team of seven, or participate as an individual to raise money. Preregistration is required, and all participants receive a 70th-anniversary swag bag. Prizes are also awarded for top competitors in many categories, including a grand prize of a limited edition Shaggy’s Custom Boyne Mountain’s 70th Anniversary Skis or two-night lodging at Boyne Mountain. A four-day lift ticket is available to pre-registered participants for $100 with all sales benefiting Challenge Mountain. Lift tickets must be purchased on the Go Rally Up site by 3 p.m. on January 9. On Friday, January 11 from 9 p.m. to 2 a.m., dress in throwback ski gear for a Vintage Party in the Snowflake Lounge with prizes for best dressed; drink specials and a DJ. Open to ages 21+. The Mountain Challenge Party will commence on Saturday, January 12 from noon to 5 p.m. in the Village to honor those participating in the 70-hour challenge. Distant Star provides live entertainment, and Happy’s Taco Shop and the Waffle Cabin will provide food. Awards and raffle prize giveaways take place at 3 p.m.
Saturday evening, gather for the 70th Anniversary Party from 4 p.m. to 2 a.m. An all-inclusive progressive dinner begins in the iconic Clock Tower Lodge lobby, moves to Stein Eriksen’s for a traditional family-style dinner and has a grand finish in the Snowflake Lounge complete with views of the Torchlight Parade and fireworks over the slopes and a champagne toast. Dinner is served at 7:00 p.m. Tickets are $51 and include three drinks, hors d’ouevres, dinner, dessert and a champagne toast given by Stephen Kircher, Boyne Resorts’ president and CEO. All partygoers receive a commemorative hat, pin and champagne flute. Guests can also enjoy chainsaw carvings at 4 p.m. and live music and painting demonstrations at 4 p.m. and 6 p.m. The Torchlight Parade and fireworks begin at 9 p.m. from the top of the Hemlock slope. Tickets are available for purchase at MyNorthTickets.com or the Clock Tower Lodge front desk. For complete event information and lodging reservations, visit boynemountain.com or call 866.759.1472.